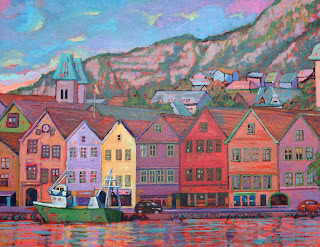 Bryggen is a series of Hanseatic commercial buildings lining the eastern side of the fjord coming into Bergen, Norway. Bryggen has since 1979 been on the UNESCO list for World Cultural Heritage sites. 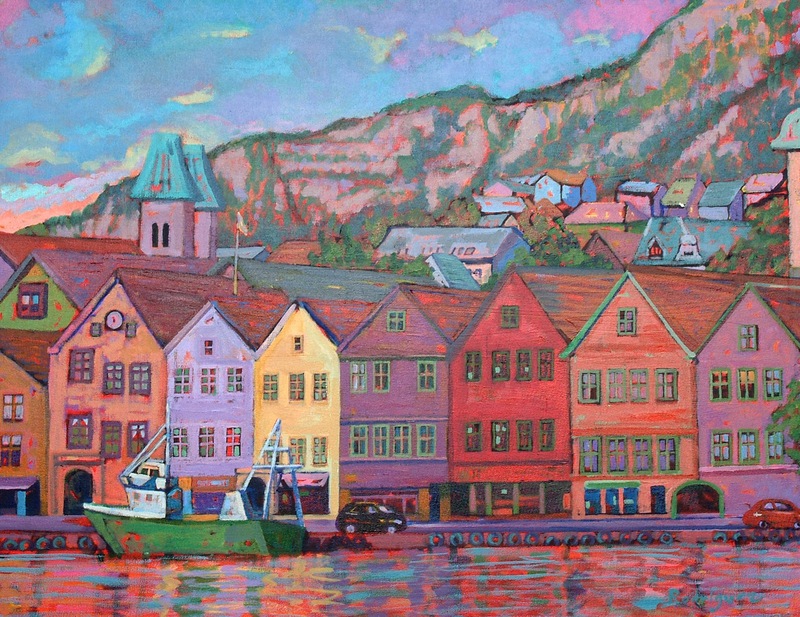 The city of Bergen was founded in 1070. The area of the present Bryggen constitutes the oldest part of the city. Around 1360 a Kontor of the Hanseatic League was established there, now documented in a museum. As the town developed into an important trading center, the wharfs were improved. The buildings of Bryggen were gradually taken over by the Hanseatic merchants. The warehouses were filled with goods, particularly fish from northern Norway, and cereal from Europe. Throughout history, Bergen has experienced many fires, since most houses were made from wood. This was also the case for Bryggen, and as of today, around a quarter dates back to the time after 1702, when the older wharf-side warehouses and administrative buildings burned down. The rest consists of younger structures, although there are some stone cellars that date back to the 15th century. Parts of Bryggen were destroyed in a fire in 1955. This area was used for the construction of Bryggen museum containing archeological remains and some old-style wooden houses (6 leftmost houses on the picture). Today, Bryggen houses tourist, souvenir, and gift shops, in addition to restaurants, pubs and museums.